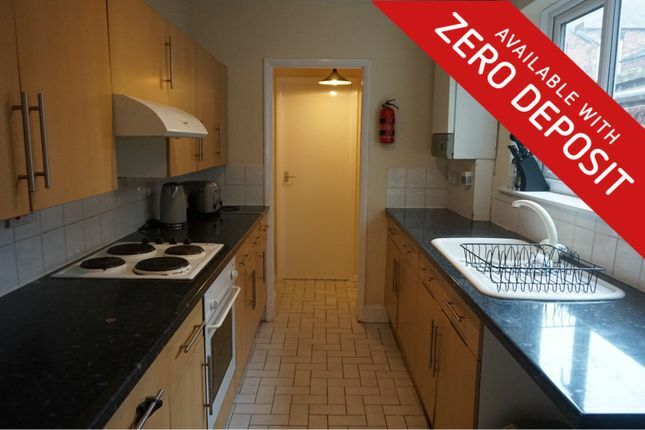 An ideal opportunity to rent a room in a fully refurbished property in central Middlesbrough. All rooms have been furnished to a high standard and are inclusive of all bills. You also have access to a shared lounge, kitchen and bathroom. Within easy walking distance of an abundance of shops, bars and restaurants this is a great option for those wishing to be close to everything the town has to offer. Providing access to all ground floor rooms and with stairs leading to the first floor, the hall benefits from laminate flooring and a radiator. Located at the rear of the property the shared lounge has a built in storage cupboard, radiator and a uPvc double glazed window. This room has been furnished with 2 two seater sofas and has a communal tv on a stylish black glass stand. A galley style kitchen with a good range of beech effect base and wall units with contrasting black marble effect worktops which incorporate a white inset single drainer sink unit with mixer tap and also an integrated electric oven and hob with an extractor hood over. The landlord is also providing a washing machine and a fridge/freezer. With tiled splashbacks, tile effect vinyl flooring and a uPvc double glazed window. A range of small kitchen appliances are also provided. Providing access from the kitchen to the bathroom and out to the rear yard via a uPvc door. Located on the ground floor this shared bathroom is fitted with a white suite comprising bath with electric shower over, washhand basin and a w.c, tile effect vinyl flooring a radiator and a uPvc double glazed window. Located on the ground floor this bedroom benefits from a uPvc double glazed bay window to the front aspect, a radiator, and also has a stunning feature fireplace with a wooden surround, a cast iron grate and decorative tile insert. This room has been furnished with a double bed, wardrobe and a chest of drawers. Providing access to all first floor bedrooms, stairs leading to the ground floor and with a built in storage cupboard. A yard is located at the rear of the property which has a secure gate leading into the back alley. To arrange a viewing 24/7 please click the brochure link below. We complete right to rent checks on all tenants so please bring photo id with you to all viewings.